Ageing causes certain parts of the face to change because of the loss of subcutaneous fat. These changes make the face look older, the cheeks become drooping, wrinkles and shades start to appear. Volumetric rejuvenation restores the volume and contours of the face (around temples and cheek bones). Face recontouring enables for both a smooth and unobtrusive change of face proportions as well as for tightening the facial skin (lifting effect). Hyaluronic acid based fillers provide excellent hydration of adjacent tissues and make the skin look relaxed, fresh and healthy. 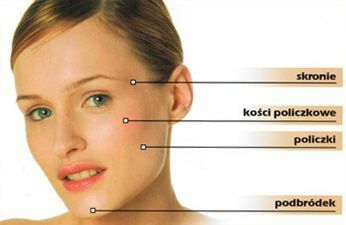 Treatment using one ampule of the substance (2ml) - 1,800zł.